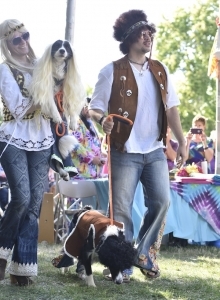 Well, another Woofstock Dog Show is in the history books! 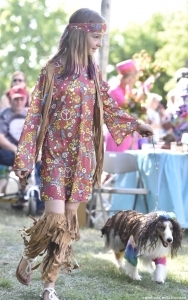 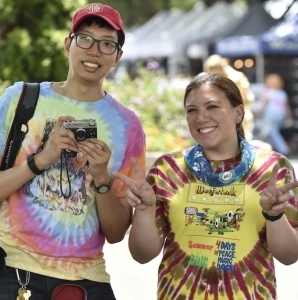 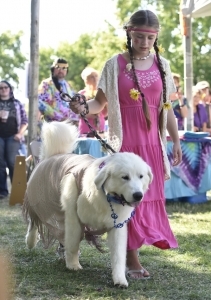 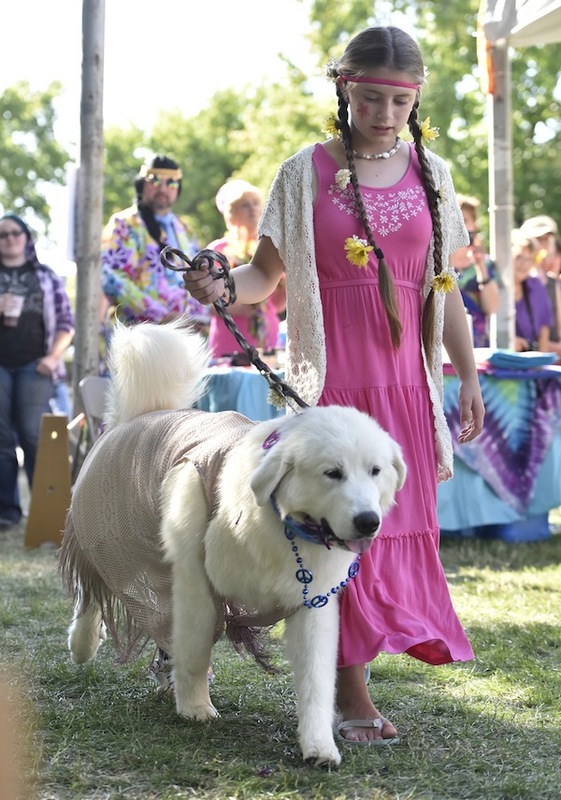 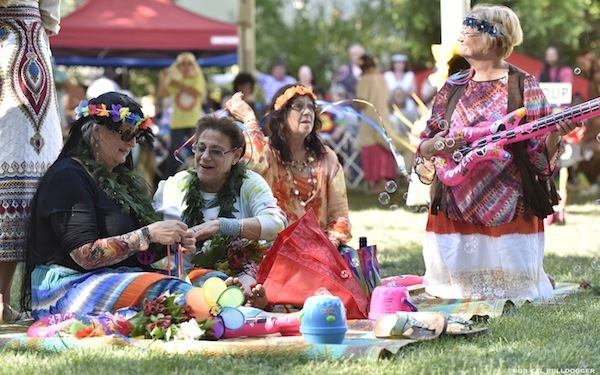 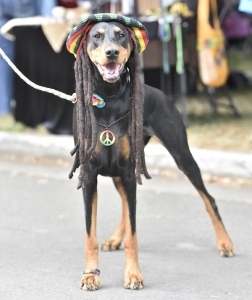 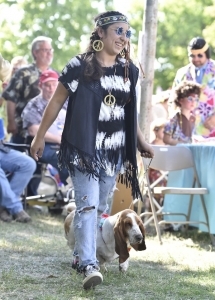 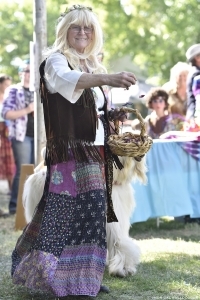 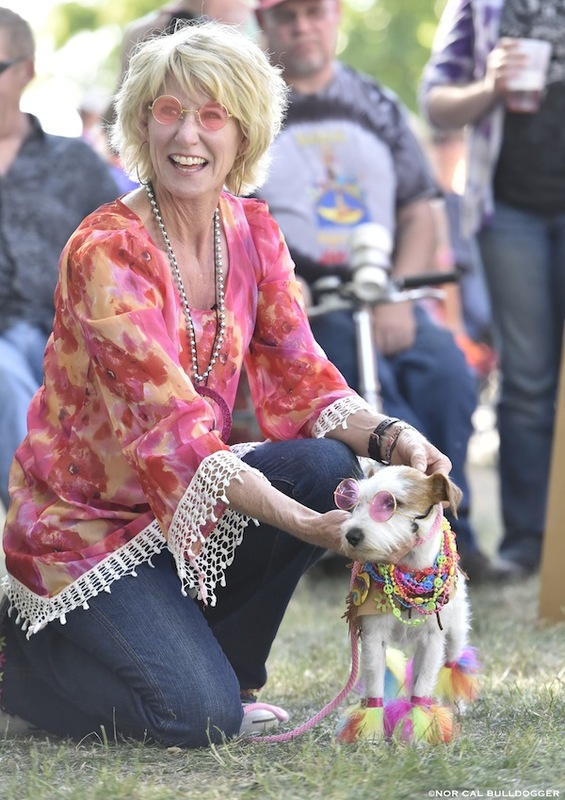 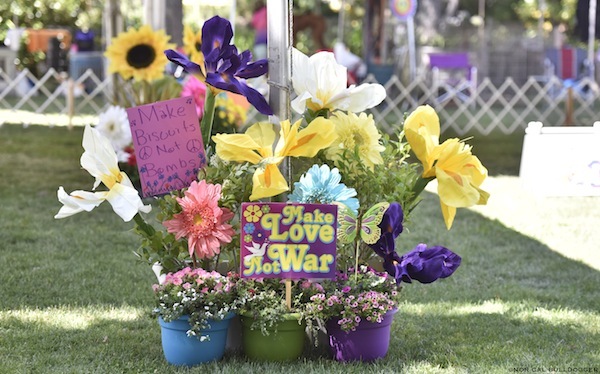 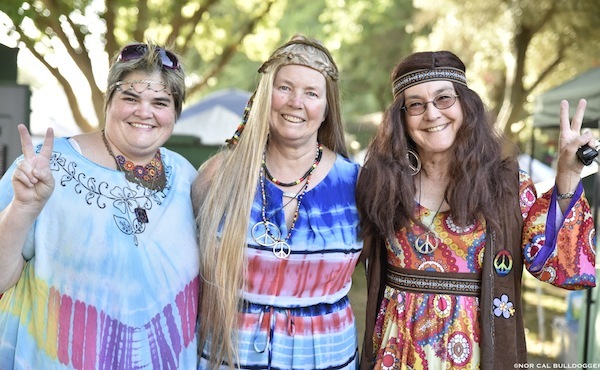 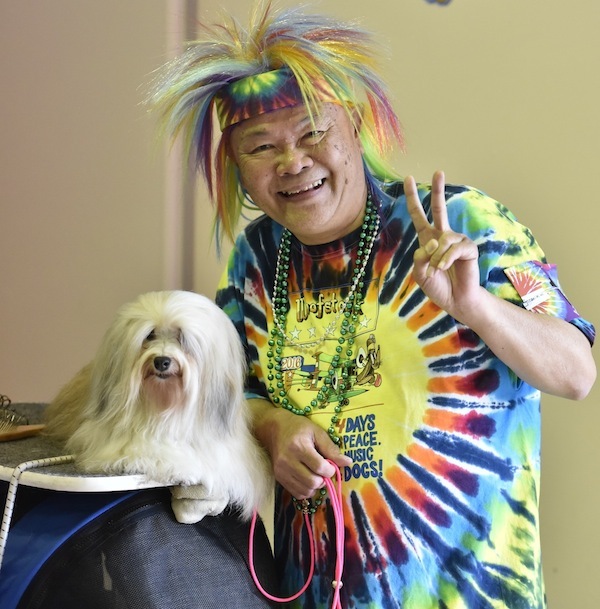 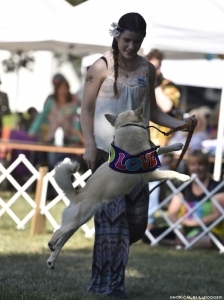 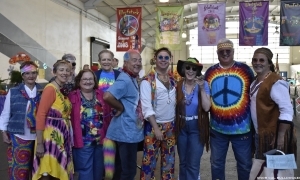 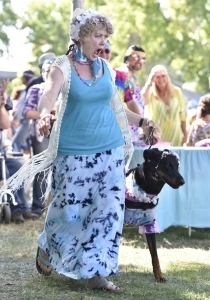 Woofstock 2016 was the ninth annual “Four Days of Peace, Music & Dogs,” held June 9–12 at the Solano County Fairgrounds in Vallejo, California. If you think Woofstock is just another dog show except that everyone dresses up and there’s music played all day long, you’ve missed the whole point. 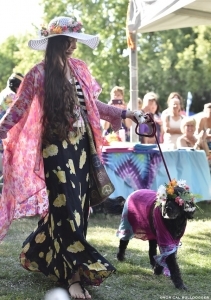 Woofstock is a celebration of dogs and people. 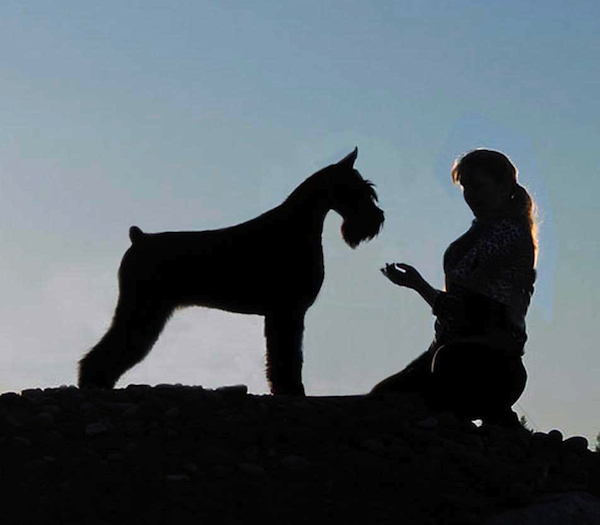 The show is geared toward providing the exhibitors with a venue to see beautiful dogs, meet with their friends, make new friends, shop the wonderful vendors for dog-related merchandise, see the judges “let their hair down” a little, and exhibit their dogs in a fun, relaxed atmosphere. 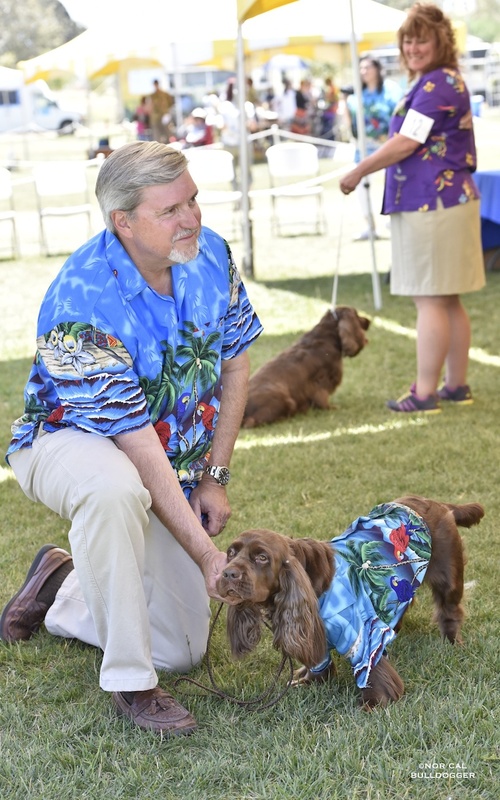 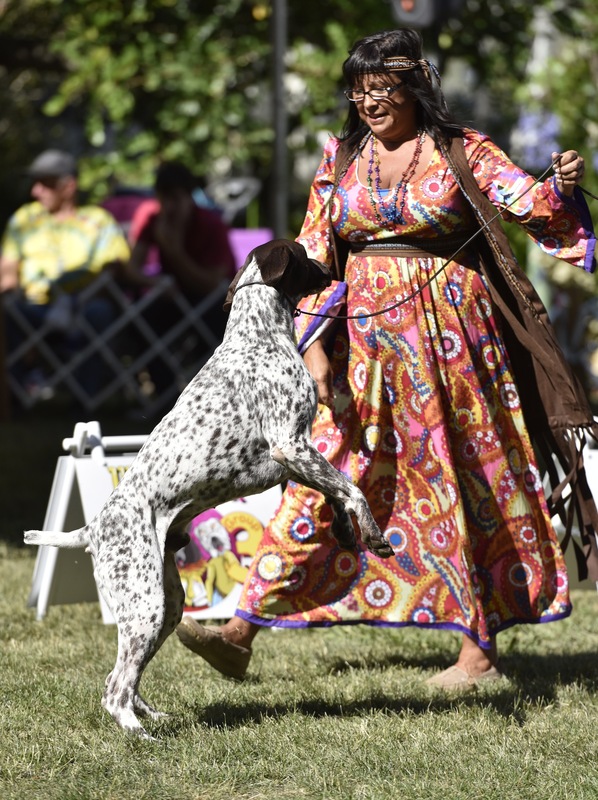 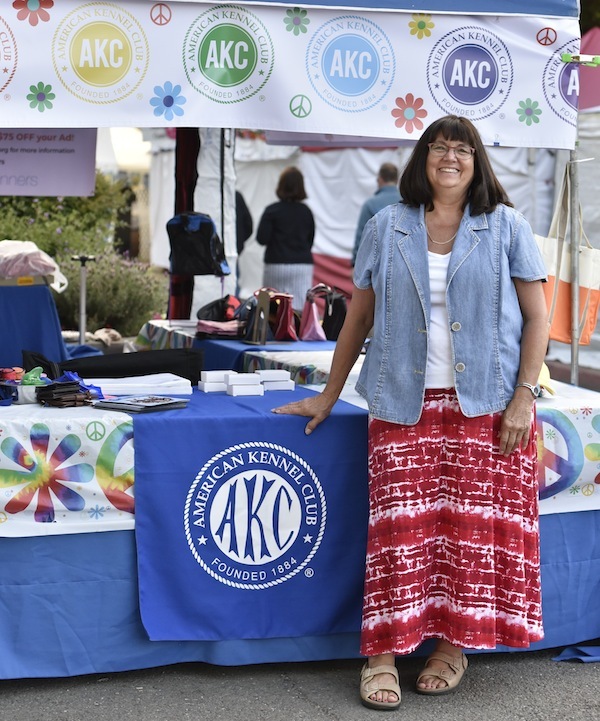 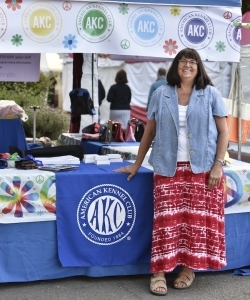 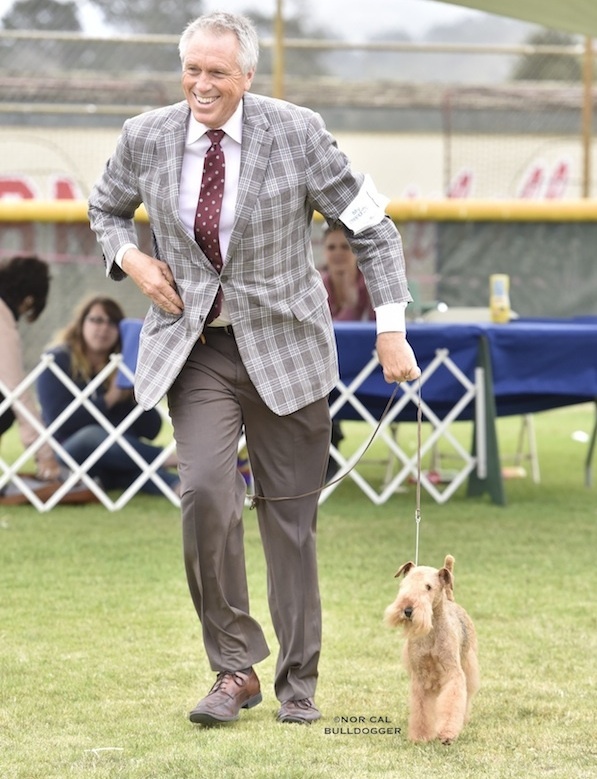 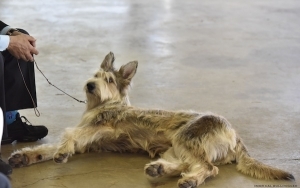 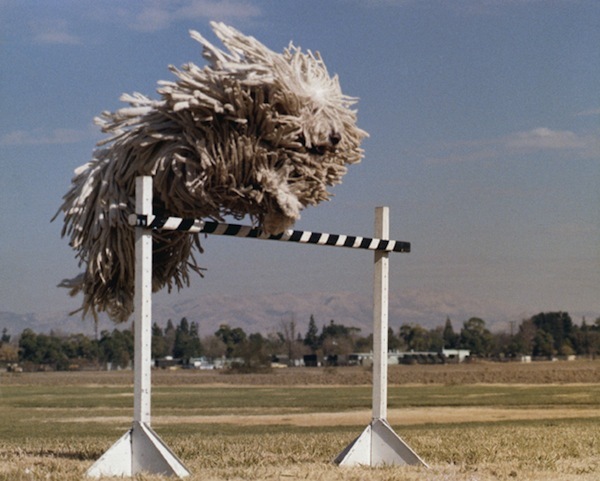 Contra Costa County Kennel Club and Yosemite Kennel Club work very hard to create an environment where showing dogs is FUN—even if you don’t win that day (speaking from personal experience). 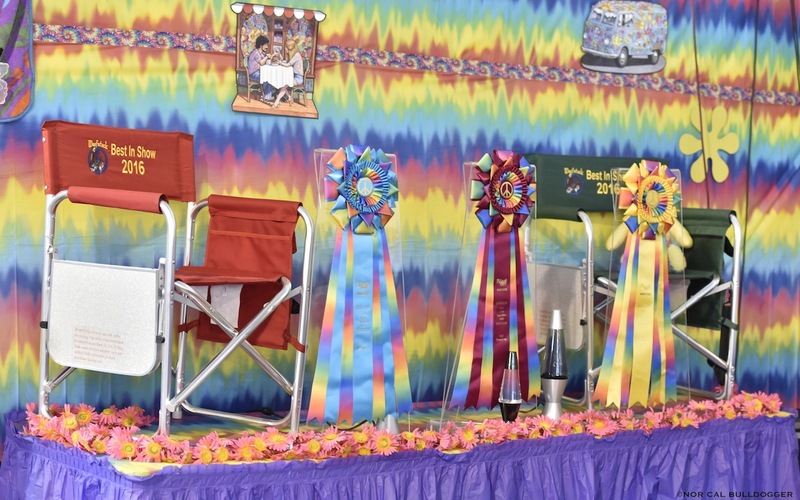 This show is the result of the efforts of not just a few club members, but the entire membership of these two very special clubs. 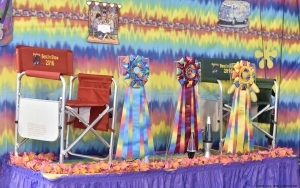 The crowd reacts to the specific songs played especially for each group judge—most times with laughter. 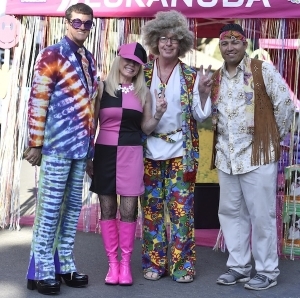 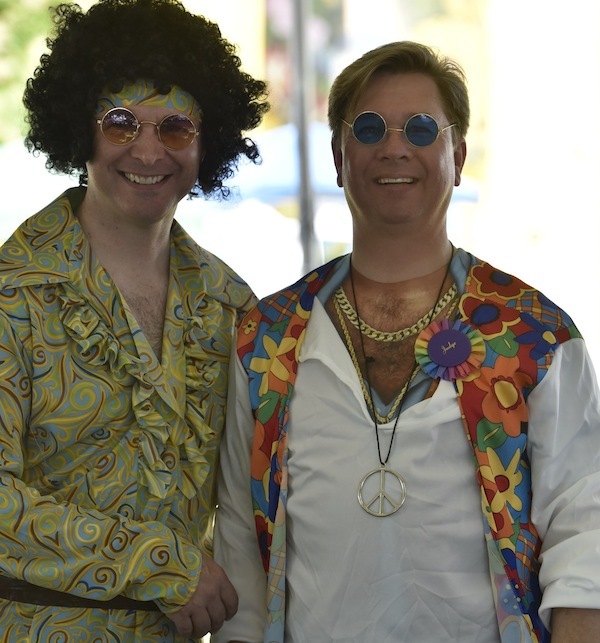 I mean, where else would we see the normally very tabbed-down Douglas Johnson and Darryl Vice wearing hippie garb and tie-dyed clothes, including John Lennon glasses? Where else would you see Sulie Greendale-Paveza “smoking a [fake] joint,” singing at the top of her voice, and leading the other judges in the “wave”? (It’s rumored that Sulie wore some of the same clothes she wore to Woodstock in 1969!) 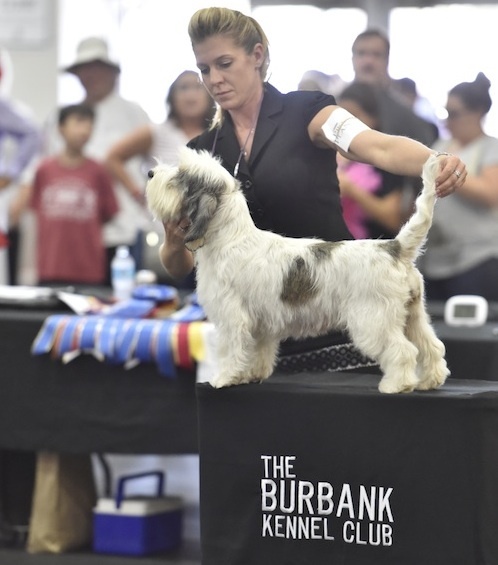 It should also be noted that Sulie opened Saturday’s show with the national anthem, and then closed the show with her Best in Show judging! 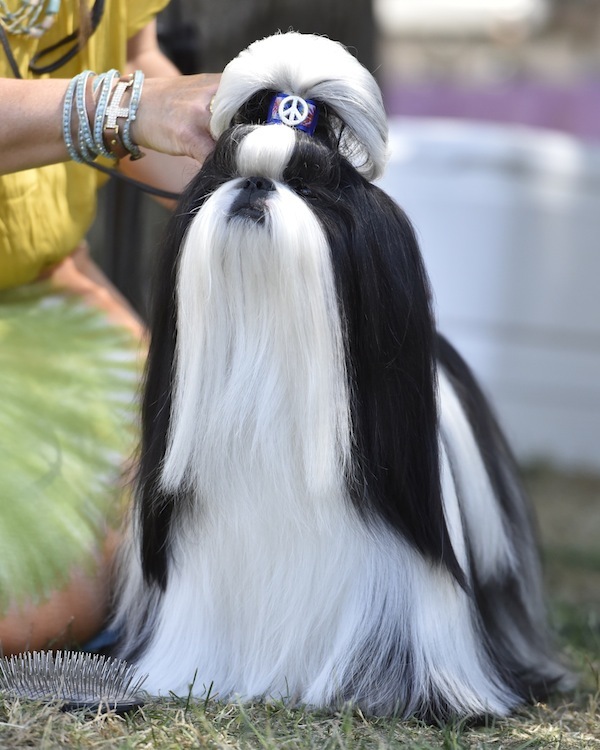 How many judges can say that? Woofstock has become a “bucket-list” event for everyone in the dog show world. Woofstock brings the very top dogs from all over the country, the best judges, and the most wonderful exhibitors! 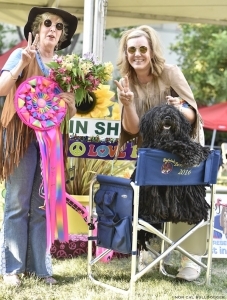 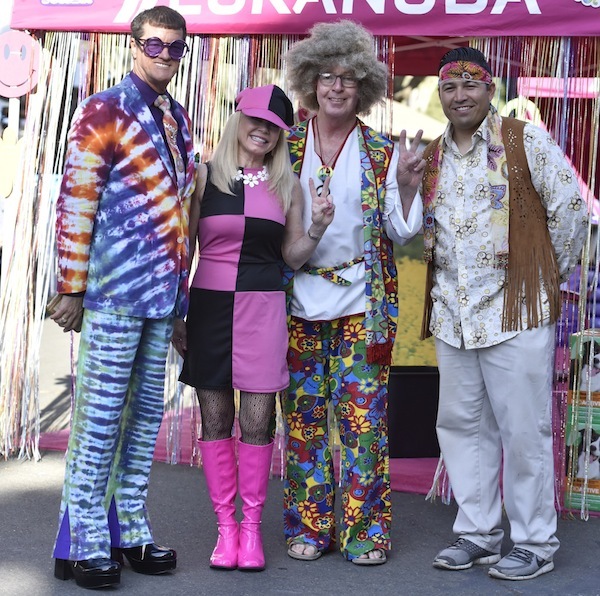 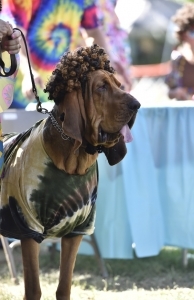 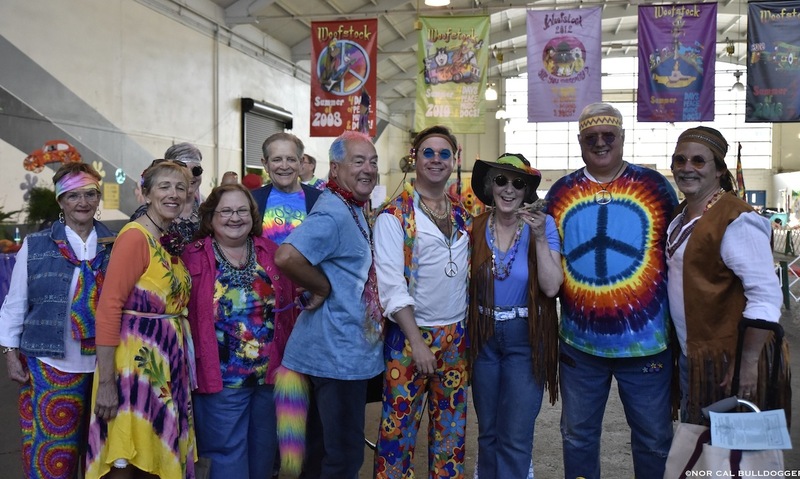 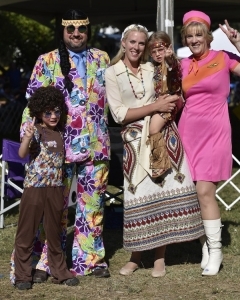 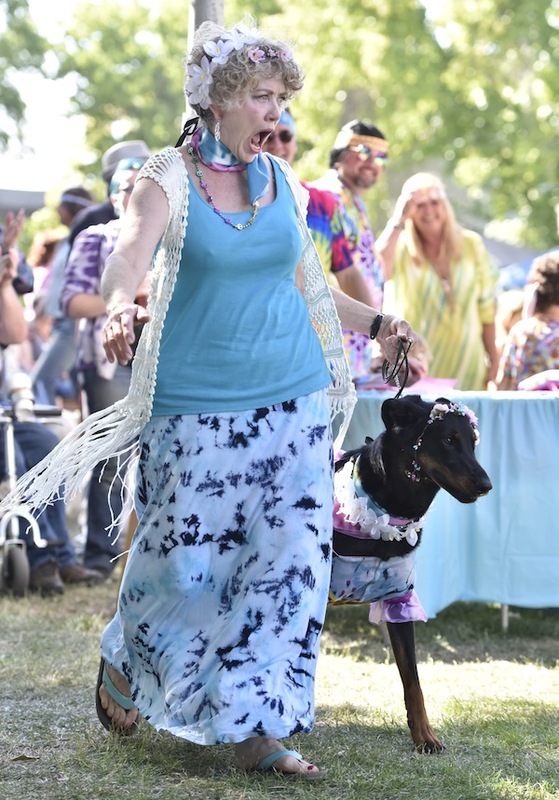 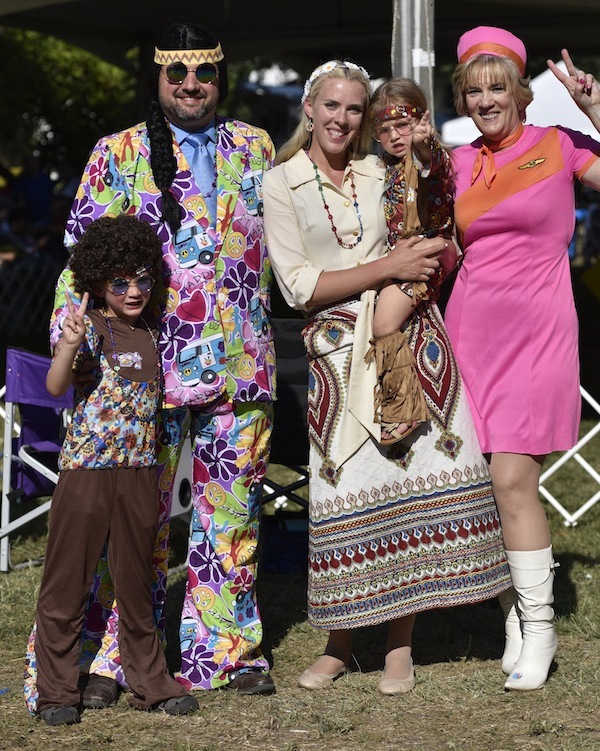 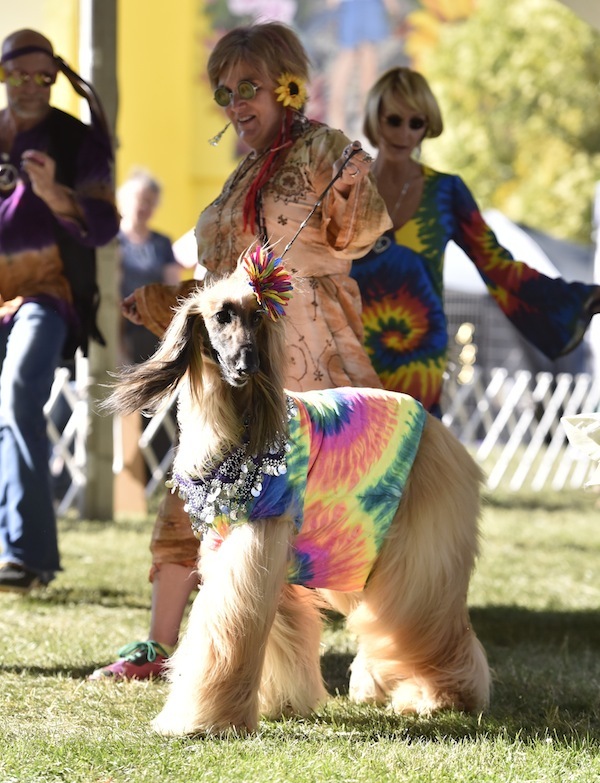 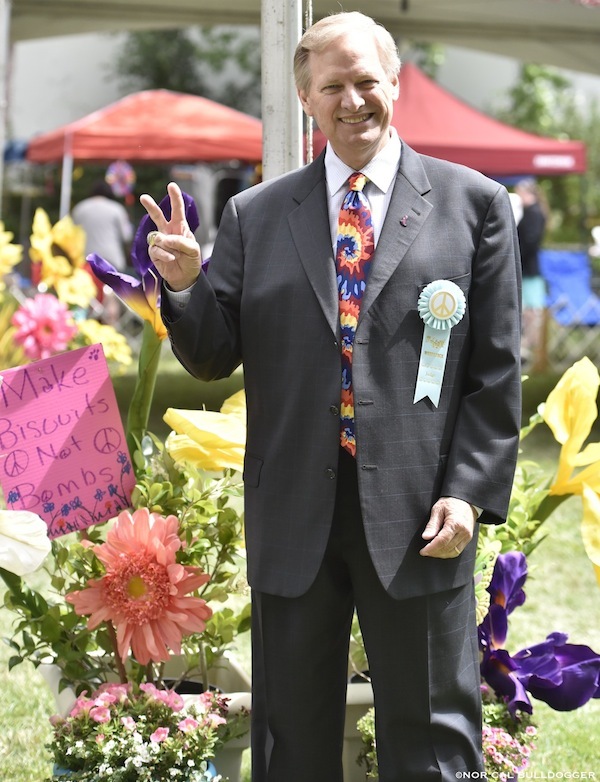 So if you want to see groovy dogs up close, the Solano Fairgrounds is where you want to be the second weekend in June each year. Oh, and don’t forget: Be sure to wear a flower in your hair!